The bridge over E. Grand Blvd. will be restored. 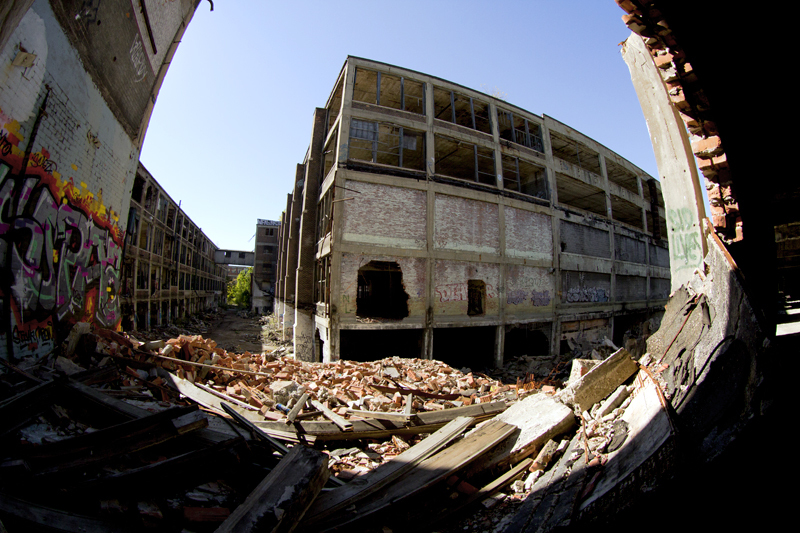 After enduring decades of abandonment and vandalism, the Packard Plant is coming back to life. 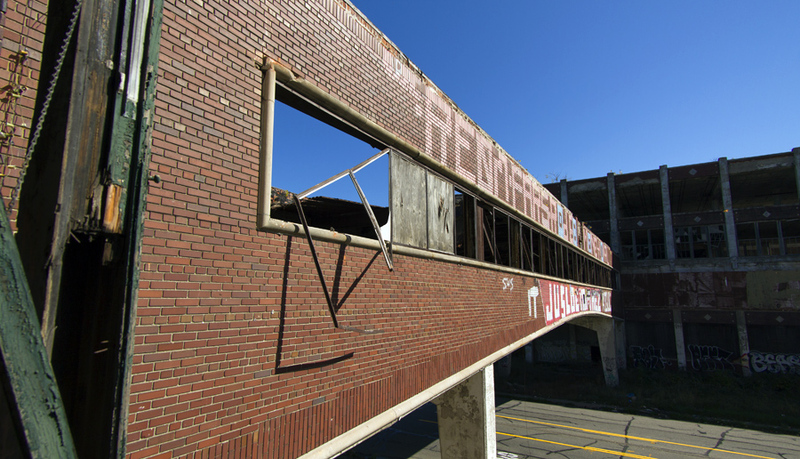 Peru-based developer Fernando Palazuelo, who bought the sprawling ruins in December for $405,000, is beginning work on the Packard’s former administration building, an adjacent courtyard and the iconic brick bridge over East Grand Boulevard. Crews recently surveyed that area of the plant for asbestos and soon will begin removing hazardous material and dangerous debris, said project manager Kari Smith said. Results of the asbestos survey are expected back next week. The bridge, which was used to transport the shells of automobiles to the engine area, will be covered in a net as crews work to stabilize the span and restore it to its original splendor. Crews also will begin removing brush soon from both sides of East Grand Boulevard. In the spring, the same species of trees that adorned the boulevard in the early 20th century will be planted . Palazuelo, who has led similar renovation projects in Peru, is seeking tenants for a mixed-use development across 35 acres of industrial buildings designed by famed architect Albert Kahn. The plan is to create space for lofts, offices, entertainment, restaurants and retailers. “We’ve had very good experiences and cooperation with the city and the county so far,” Smith said. I hope this guy can do something productive with the plant, but I am doubtful. I drove by today and other than a single signpost, I didn’t see any signs of security, work, progress, or anything of the sort at the plant. Kari is not qualified to do any work. Lost their license. Fire status? Urbex said on fire as of jAugust 4th? Wow! This is GREAT news! !